How does an Aga work? An AGA is made from cast iron and is an outstandingly efficient energy store, transferring heat steadily from its core into its ovens and hotplates. 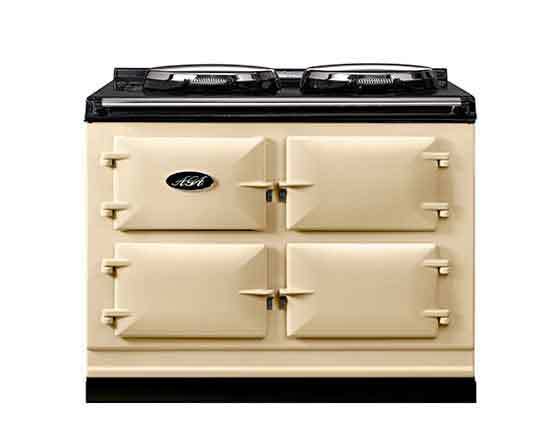 An AGA has no switches or buttons and is is always ready to cook instantly. An AGA uses fuel economically using high levels of insulation and uses thermostatic controls to maintain constant temperatures through the day. This economical heat can be captured, stored and utilised by a thermal store and used too heat hint water and heat the rest of your home.